The places we come from are a part of our heritage. Where we grew up and where we live are important because we learn from the people who live there with us, and the place itself. In the next 3 units we are going to talk about Pretoria, the administrative capital city of South Africa. Pretoria is one of the capital cities of South Africa and is situated in the Gauteng Province. In 1853 a Voortrekker called M. W. Pretorius, the son of Andries Pretorius, bought two farms along the Apies River to establish the capital of all the Afrikaner communities in South Africa. He called the new town Pretoria, in honour of his father. The city of Pretoria is 60 km from Johannesburg, 478 km from Bloemfontein and 1 500 km from Cape Town. It spreads out in the valleys that are made by the eastern part of the Magaliesberg Mountain range, where the Apies River flows and the climate is perfect for flowers and trees. In the 1870s Pretoria was known as the “City of Roses”, but after Mr. J. D. Cilliers bought some Jacaranda trees from Rio de Janeiro for his garden in 1888, the city decided to plant 50 000 of these trees and Pretoria became the “Jacaranda City”. The local area examined as part of this section of the curriculum will differ from area to area and even from school to school. Of importance is that learners cultivate the skill of finding information using various sources. 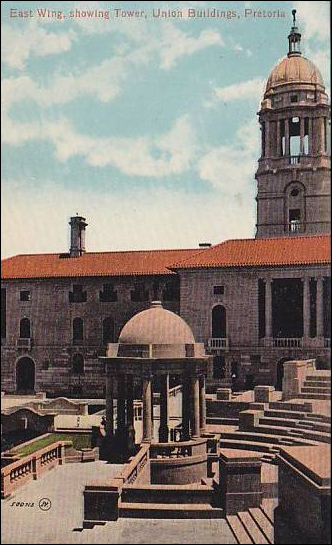 SAHO has used Pretoria as an example local history. SAHO’s head offices are in Pretoria. There are 4 major dams close to Pretoria. The Roodeplaat Dam, the Bon Accord Dam, the Rietvlei Dam and the Hartebeespoort Dam are all within 60 km from the city. Pretoria also has rivers that flow through and around it like the Apies River, the Pienaars River and the Moretele River. A museum is a place where objects, or things, are kept that are important because they are valuable to people. These objects can show us what the past was like, like old aeroplanes, guns used in wars that ended long ago or clothes that people wore in the past. Some objects have scientific value because they can teach us about science and the world around us. Paintings and sculptures are also kept in museums because they show us what art looks like and what types of different art artists can create. A monument can be a building or sculpture. A really old building that can show us how South Africans lived in the past can also become a monument, like Melrose House in Pretoria. People build monuments to mark a certain important event in the past, or to honour a person who made an important difference in the world. Monuments don’t always celebrate happy events, but can be built so that we remember a bad event so that it won’t happen again. A good example of this is a war monument that shows all the names of soldiers. a) Name 4 museums you can find in and around your city/town. b) Name 4 monuments you can find in and around city/town. c) Visit 1 museum and write a paragraph about what you learned at the museum. d) Visit 1 monument and write a paragraph about what you learned at the monument. After the 1994 elections South Africa’s new government decided that some city, area and street names had to change because they represented a bad part of our past. At the time there were no streets, cities or areas named after black people and heroes. Since 2003 there have been discussions about changing the name Pretoria to Tshwane. The city of Pretoria was named after Andries Pretorius, the Voortrekker leader, and falls inside the Tshwane Metropolitan area. The reason the name could change to Tshwane is because, according to legend, the area used to be called that when Chief Tshwane ruled his people in the area. According to oral tradition or stories Chief Tshwane was one of the sons of Chief Mushi or Musi from KwaZulu Natal. Chief Mushi moved to the region in about 1652 and gave an area near the Apies River to his son. The name of the area possibly comes from the word “tshwana”, which means “we are the same”. There is hardly any information available about Chief Tshwane. It could also be that the word Tshwane hints at a river that flows under black forests of hills and thick forests used to cover the whole area where Pretoria stands today. Some people also think that Tshwane refers to the colour black in Sotho, as in black cow or “kgomo e tshwene” while others say it means “little monkey”. Voortrekkerhoogte is a hill just outside Pretoria where the Voortrekker Monument stands. Before it was named Voortrekkerhoogte it was called Roberts Heights, and in 1998 it was changed again to Thaba Tshwane. The word Thaba means “mountain” or “hill”. Many residents of Pretoria feel that it would be wrong to change the city’s name because it is known all over the world and is also our capital city. It will also cost a lot of money because all the businesses in the city would have to change the addresses on their stationery. Other people feel it’s important that the name changes because it is a reminder of the days of apartheid, and like some of our provinces, should get a new name that shows the new South Africa so that we can rewrite the history of South Africa and include the events and people that were left out before.